I read both of these as a preview to reading them out loud to my kids. Then December happened, the books became due (despite multiple renewals), and back they went before we ever sat down and read them together. At least now I know what they're all about. There's always next time! 3 stars: Two orphaned sisters take matters into their own hands. 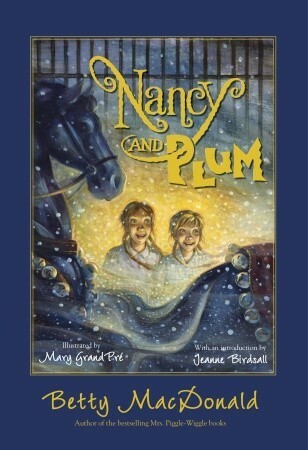 Nancy and Plum are two orphans who live at Mrs. Monday's Boarding School. Life is not rosy for these sisters, as they are Mrs. Monday's favorite scapegoats whenever anything goes wrong. They live by their wits most of the time, with a bit of sass thrown in. They're definitely not afraid to tell Mrs. Monday what's what, which as you can imagine, does not do much to further her good graces. They do have an under-the-radar champion: Old Tom, Mrs. Monday's brother, the resident handyman and animal caretaker. One fateful day they discover that they haven't been as forgotten by their extended family as they had supposed. They find an empty doll box addressed to them, the contents of which they have recently seen in the arms of Mrs. Monday's niece Marybell. That is the last straw. They decide they simply MUST get away from The Boarding School. So begins their adventure. I think my kids would really enjoy this one. Nancy and Plum are a good balance for each other: Plum being the more impulsive, reckless (or brave, depending on your point of view) one, and Nancy a bit more timid but still willing to jump into any scheme. The ending is warm and happy, but with enough obstacles along the way to cast into doubt a time or two. 3 stars: A time-travel friendship, twins, and trouble. Miri is unique. Well, her whole family is unique. There are 2 sets of twins with her in the middle: brothers older, sisters younger. The only sibling without a built-in partner, Miri often feels unnoticed, left out, or unimportant. When the family moves to an old farmhouse she gets her own room, for better or worse. One day she discovers a way to travel back in time to 1935. Same house. There she finds another girl her same age named Molly. Molly's life is much worse than Miri's. Molly has an abusive adoptive family to put up with. Her older brother, in particular, is cruel and takes delight in terrorizing Molly. Miri wants to help Molly, but can't figure out how to make the magic work the way she wants it to. Before anything gets resolved, Miri finds herself back in her own time, but now she has a purpose: finding out more about Molly and trying to figure out how to save her. The resolution to Molly's perilous situation was well-done and satisfying, and the ending for both girls was truly magical. I just don't know that all the ending stuff would overcome the creeping anxiety from the middle part of the book. At least not for my younger two, and I don't know that my oldest son would be interested. I will keep it in my for later on down the road, though. 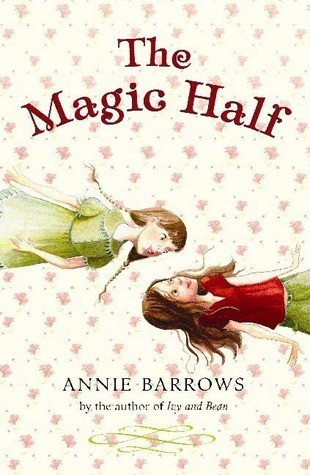 I found out on Amazon just now there is a sequel to this one as well, titled Magic in the Mix. What potential read-alouds have you come across lately?